Container watering and fertilizing are very important as soil in containers dries out quicker than soil in the ground. Since there is less soil for plants to access nutrients it is necessary to give your containers an extra boost with regular fertilization. 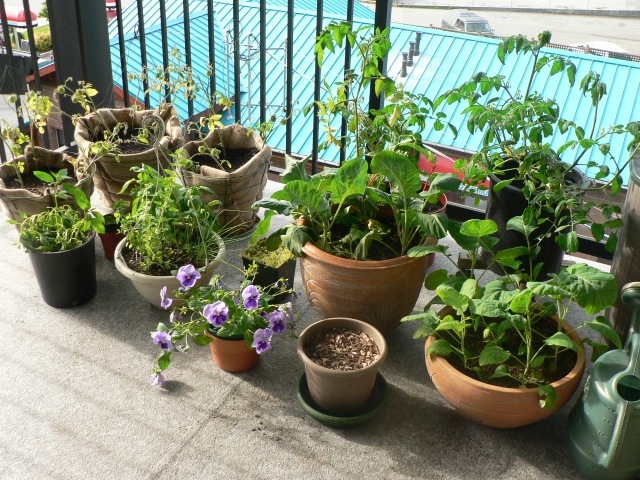 Plants that are outside are constantly being dried out by the sun and wind so watering more often is needed. Some plant pots such as clay pots will dry out quicker than others as well because they are more porous. Make sure you take care of your container plants. Q. How often do I water? While your plants are small and the weather is not too hot you may have to water only every 2 or 3 days. In the heat of the summer when your vegetable plants are mature daily watering will be probably be necessary. A good way to test if a container needs watering is to stick your finger a few inches into the soil, if it is moist it does not need water, if the soil is dry it needs watering. Also if a pot is small enough, lift it up to feel the weight. If it is light it needs watering. If the pot is heavy itself, try lifting it after watering to feel the weight, so you can judge what the weight is when the soil is moist. Q. How much do I water? Give the container enough water each time so that the water runs out the drain holes . Q. How can I slow down water loss? Covering the soil in your container with moss, seaweed or newspaper will keep it more moist. Q. What if I want to leave for a few days, how can I keep my plants happy? Make a small hole in the bottom of a large plastic bottle (milk jug or pop bottle) and place it into your container. The water will drip out slowly keeping your pot moist. Q. 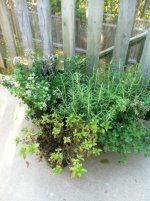 What fertilizer is best for my container plants? To maintain healthy vegetable growth you will need to give your plants plenty of nutrients. A time release fertilizer that gives small amounts of nutrients every time you water. An organic fertilizer that is given in frequency recommended by the product. A liquid fertilizer that is applied every 2 weeks. 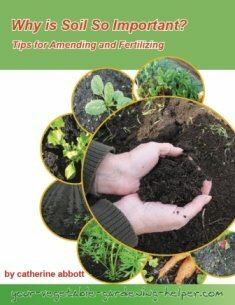 Some examples of this are fish fertilizer or make your own compost tea. I promise to use it only to send you Vegetable Gardening Hints.